Contrary to our popular notions, the core concepts (and literary mentions) of automatons or ‘robots’ are almost 2,500 years old. For example, according to a Chinese legend (as mentioned in the 4th century BC Daoist text Lie Zi), one Yan Shi successfully created an automaton that resembled a human form. Other ancient literary works and mythological anecdotes also allude to similar robotic mechanisms – like the famed Talos, a bronze-made guardian crafted by Hephaestus himself; and the ‘bhuta vahana yanta’ or mechanical robots of King Ajatasatru of Magadha (Eastern India), who guarded the Buddhist relics. However beyond just legends and myths, there were actual robotic designs that were contrived and conceptualized (before 19th century) by many an ingenious inventor and thinker (including Leonardo da Vinci). As for The Musician, the intricate mechanism entails a female organ player who can actually play a musical instrument by ‘her’ own hands, as opposed to a passive source of music. And quite remarkably, the intrinsic mannerism of the automaton also mimics a human – with the heaving of chest as it ‘breaths’ and its eyes following the fingers on the instrument. The subtle movements of an organ player are also replicated by the robot as it periodically balances its torso with grace. And lastly, The Draughtsman is designed as a young child who has the ability to draw four types of images – a dog with “Mon toutou” (“my doggy”) written beside it, a cupid driving a butterfly-harnessed chariot, a royal couple and a portrait of Louis XV. 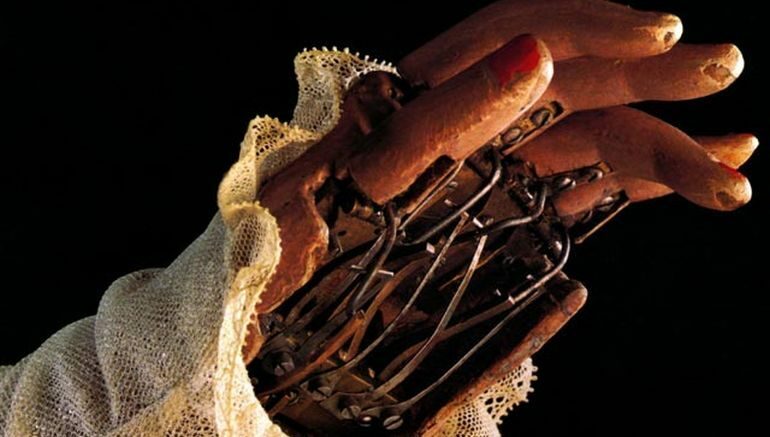 Fueled by three separate sets of cams that account for two-dimensional movement of the hand (along with lifting of the pencil), the automaton can mimic its human counterpart by periodically blowing on its pencil to remove the dust. And in case you are interested, you can take a gander at the short history of their creator Pierre Jaquet-Droz and his other creations, presented below in a video titled Jaquet-Droz Corporate Movie. The article is mostly composed from excerpts of our previous article – 6 Automaton Conceptions From History You Should Know About.